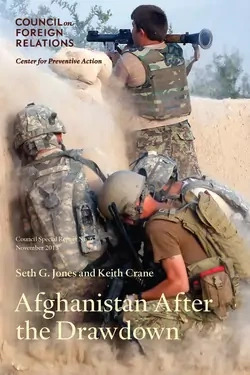 Following the recent endorsement of the U.S.-Afghanistan bilateral security agreement by Afghanistan's Loya Jirga, a new CFR report from the Center for Preventive Action (CPA) outlines the composition, role, and rationale for the roughly ten thousand U.S. troops that will possibly remain in the country after the 2014 drawdown. RAND Corporation's Seth G. Jones and Keith Crane explain in a new Council Special Report how the United States should manage the complex political, security, and economic challenges that will accompany the reduction in U.S. and allied forces. They argue for a force of eight to twelve thousand troops to assist Afghan national security forces and prevent a resurgence of al-Qaeda. "The United States has made an enormous expenditure of blood and treasure in Afghanistan since 9/11. Though not readily apparent to an American public weary of more than a decade of fighting, important gains have nevertheless been achieved to make Afghanistan a better place." The authors warn, however, that "these gains are reversible" and cite risks such as the continued expansion of al-Qaeda and affiliates, regional instability, increased radicalization in Pakistan, and a perception by allies and enemies alike that the U.S. commitment is unreliable. The report specifies two main missions for the remaining U.S. troops and maintains that the commitment should not be open-ended. A majority should be assigned to train, advise, and assist Afghan national and local forces. Smaller numbers of troops should be tasked specifically with conducting strikes against terrorists by killing or capturing high-value targets, working with high-end Afghan forces in Taliban-controlled areas, and using unmanned aerial vehicles to conduct intelligence, surveillance, reconnaissance, and occasional strike missions. The authors also assert that focusing on regional dynamics is essential to Afghan stability. The United States should rely less on Pakistan to help in accomplishing its goals in Afghanistan, while tying U.S. military assistance to Islamabad to its efforts to combat militant groups.